I'm an investment sales broker specializing in the sale of multifamily assets in Colorado and the Mountain states. Our team focus is the disposition of multifamily assets in the Rocky Mountain region; specifically, representing owners in the sale of market-rate, affordable (LIHTC or Project-based HAP), student, senior age-restricted, or mixed-use apartment communities. Prior to beginning my multifamily brokerage career in 2011, I worked in the financial services industry as well as in the U.S. Army where I served as a Captain with the 1st Infantry Division during Operation Iraqi Freedom. I graduated from the United States Military Academy at West Point in 2002 with a Bachelor of Science degree in Electrical Engineering. Bronze Star while serving in Iraq during Operation Iraqi Freedom (2004). As Vice President of the Denver Multifamily team for Colliers International, Craig leads the efforts for business development and client relationships throughout Colorado. He provides clients with acquisition and disposition services for multifamily properties. In addition to existing multifamily building sales, Craig has facilitated the sale of multifamily ground for new development. His multifamily brokerage experience began in 2000 at CB Richard Ellis where he won many top ranking awards. During the course of his career, Craig has transacted over one billion in apartment sales, consisting of institutional, private capital, and affordable apartments. As a Transaction Manager, Denise supports the multifamily real estate brokers in their day-to-day brokerage business including; preparing proposals, marketing support, research, document creation, analytical research and correspondence. She serves as the key liaison for the brokers and the online database companies that market properties. She also oversees the strategic implementation of marketing goals, scheduling and completion of time sensitive and recurring business tasks and database management. 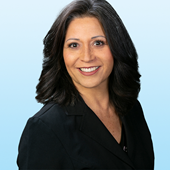 Though Mrs. Boyd is relatively new to the Commercial Real Estate community her 20+ years of experience in the Mortgage industry has provided her an extensive and solid skill set that will ensure her success in her role as the Transaction Manager for the Multifamily team here at Colliers.